If you’re thinking about finally making the move from your spreadsheet- or even paper-based warehouse management system, you’re probably weighing the pluses and minuses of a stand-alone, on-premise system, versus a cloud-based warehouse management system (WMS). While every business decision you make can ultimately affect your bottom line in one way or another, few will do so as much or as directly as the platform you choose for your WMS. The effect on your bottom-line starts from the moment you make your decision. An on-premise WMS means you need to pay upfront for software licensing, system support and maintenance, and the hardware to run the system. Oh, and the IT infrastructure to manage your own server. 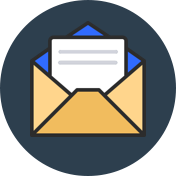 A cloud-based WMS is generally put in place and managed for little if anything more than a regular, predictable subscription fee. Not at your desktop when you get an ‘emergency’ call? No problem. At lunch when news of a big sale comes in? No problem. You can get into your cloud-based warehouse management system to get the data you need. Anywhere at any time from any device that can access the internet. If you’ve been on QuickBooks, you know your data is only as good as the last backup you made. If your systems go down, not only have you lost your current data, but you need to access and restore your most recent backup. All of which keeps eating away at your bottom line. 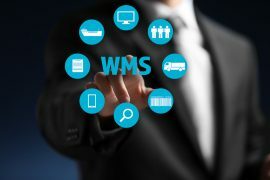 If you’re considering the move to a WMS because your business has outgrown the ability for a manual system to keep up. Then you need to think about what will happen if your business outgrows your WMS. A cloud-based warehouse management system also eliminates the need to set-up the software on each workstation. If you have seasonal increases in demand, an on-premise system can mean a cycle of provisioning additional systems at peak times and undoing it all at the end of the peak period. And do you have the server capacity to handle it all? It’s easy to track the additional costs for IT infrastructure, including labour, software and hardware, of implementing and on-premise system. But the time it takes to implement the systems can also mean lost opportunity costs too. Both while you wait to take advantage of what the new system has to offer and in taking your people away from spending time on other revenue-generating priorities. Cloud-based systems can be up and running everywhere you need them in hours versus weeks. You know the feeling when, you just get a new program loaded up on your networks and all your workstations and, the first thing you hear from the vendor is that they have an amazing new release. Cloud-based WMS are often updated in the backend without you knowing it. And front-end updates are usually introduced so regularly that they rarely feel like a big change. Imagine never having to evaluate the purchase of new software or updates again. If you’d like to make the leap to a cloud-based warehouse management system, or a complete supply-chain management solution, get in touch with AdvancePro today.